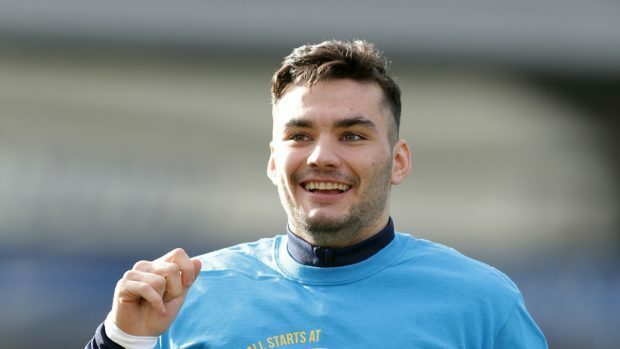 Aberdeen manager Derek McInnes needs no reminder of the qualities of Tony Watt as the Dons bid to stop the in-form St Johnstone striker tomorrow. Former Celtic forward Watt trained with the Dons at the end of last season and McInnes did consider offering him a deal. Aberdeen passed on the opportunity with Saints boss Tommy Wright moving quickly to sign the forward and has the move has paid a quick dividend with the 24 year-old scoring six goals in nine appearances for his new club culminating in him being named Premiership player of the month for August. McInnes is not surprised to see Watt make an impressive start following his move to McDiarmid Park and knows the Dons will have to watch the forward closely tomorrow. He said: “It’s no surprise to see Tony doing well. He has always had the ability to score goals and we enjoyed having him up here with us for a while last season. “We offered him training facilities and we thought long and hard about whether to try to do something. It was something we looked at for a while and really deliberated over. “I’m pleased for Tony that he has got himself going again with St Johnstone and like every player it is important to be playing regularly and he is getting the benefit of that now. Watt has been the headline grabber for Saints so far but McInnes insists his former club is no one-man show with Wright’s other recruits settling quickly at McDiarmid Park. He said: “St Johnstone are always a good opponent and they’ve got good options in the wide areas this season. “Tommy Wright has recruited well with Matty Kennedy, Drey Wright and Danny Swanson there now. Danny was a big player for them previously and I’m sure Tommy is pleased with the options he has. “He’s got ball carriers in the wide areas which allows them to be more direct and they carry a threat.